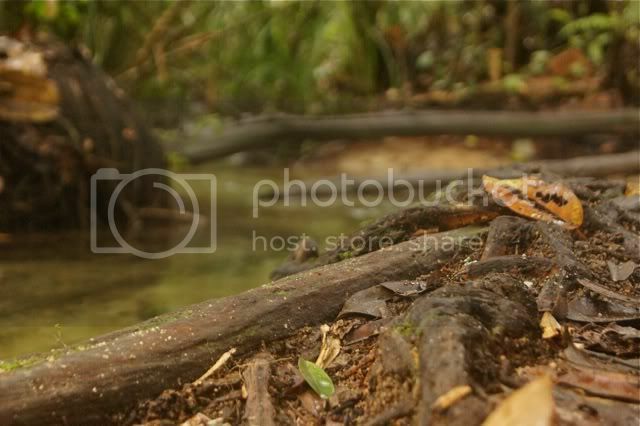 (Photo Above) The Bukit Timah Nature Reserve is one of the Asean Heritage Parks, covering 3,043 hectares and bounding four reservoirs: (i) MacRitchie Reservoir, (ii) Lower Peirce Reservoir, (iii) Upper Peirce Reservoir and (iv) Upper Seletar Reservoir. 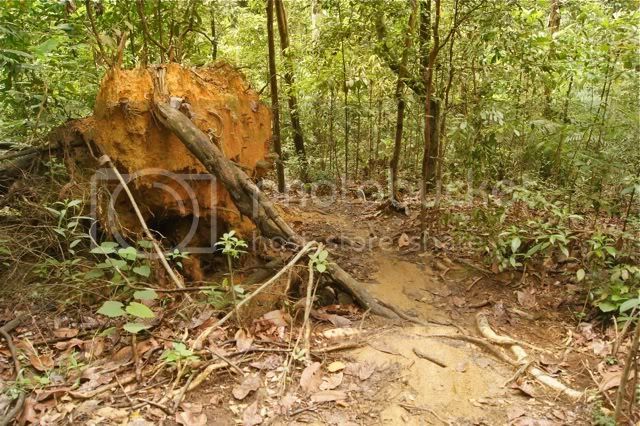 The forest reserve is rich in biodiversity that contains flora, fauna, Seraya, Mock Durian, Forest Praying Mantis and the Singapore Freshwater Crab, and other animals like the pangolin, Horsfield's Flying Squirrel and Colugo. 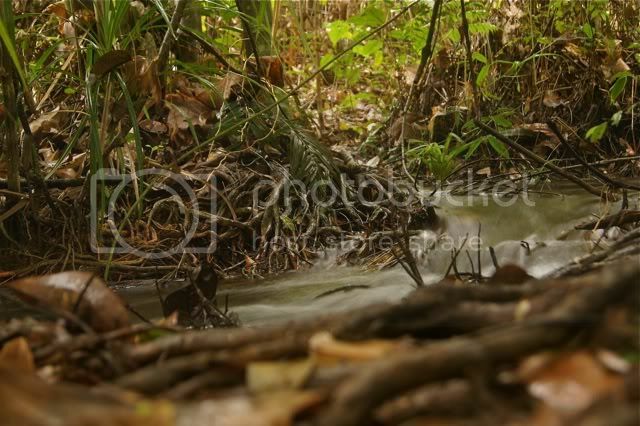 Besides acting as water catchment for the reservoirs, the forest reserve also purify water in the reservoirs. 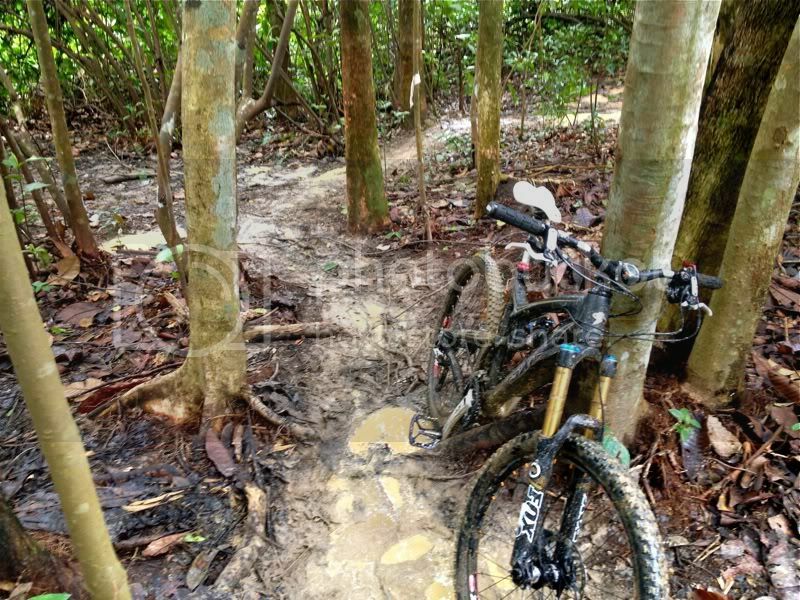 A network of mountain bike trails offer bikers an environment to appreciate nature, practice biking skills and improve cardiovascular wellness. 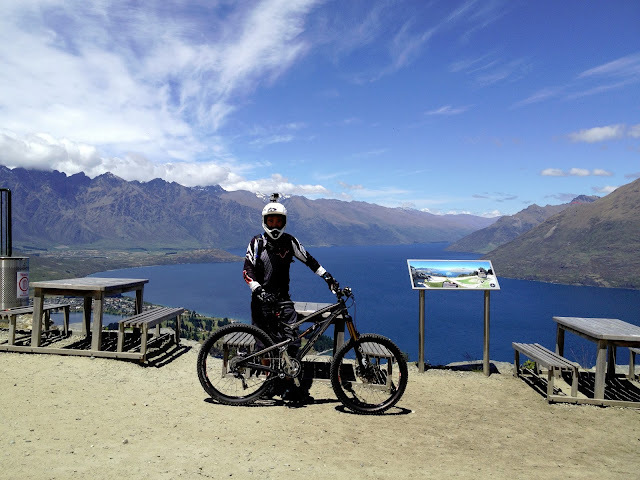 The following photos provide a glimpse of over 25km of mountain bike trails. (Photo Above) This stretch of trail is one of my favorites, not because it was technically challenging, but one of the few trails that bound the reservoir. 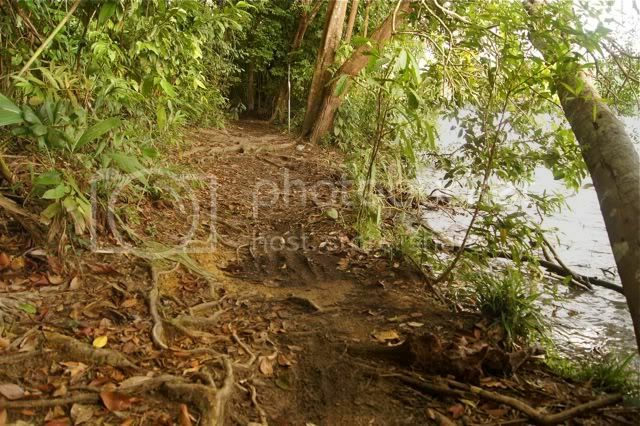 Some distance down is a narrow downhill section infested with roots - that leads to the water if you don't turn in time. One more thing, look out for fishing hobbyists! 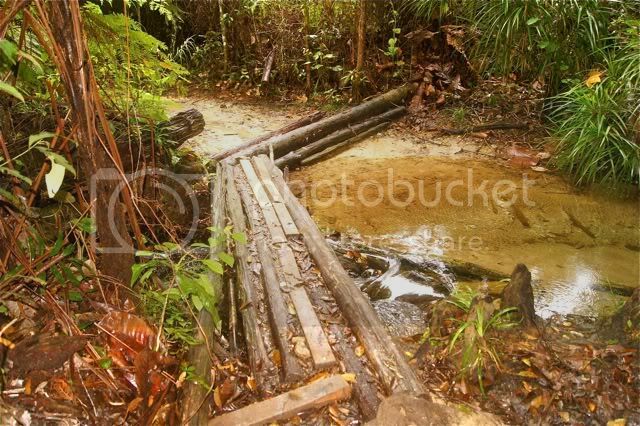 (Photo Above) The bridge used to be a single narrow log hanging over the stream. Bikers usually carry the bikes and balanced over the plank. I admired those who wear clipless SPD shoe, having to tip-toe with 12kg to 15kg bikes on their arms. Thanks or no thanks, a more discern bridge is built across the water. You can easily cycle over it! 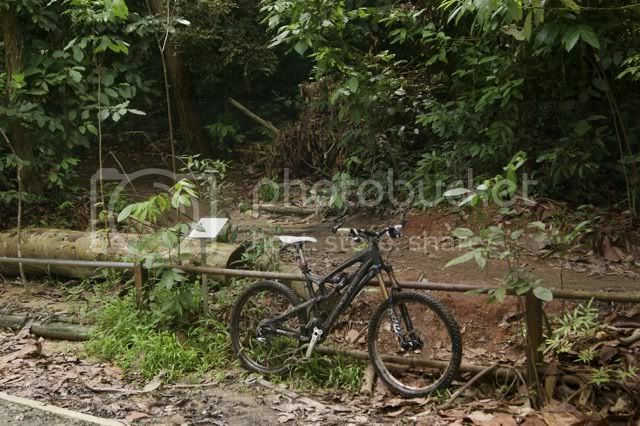 (Photo Above) This is the only section in the trial where you have to carry the bike up. Have yet to see anyone pedal up this hill. 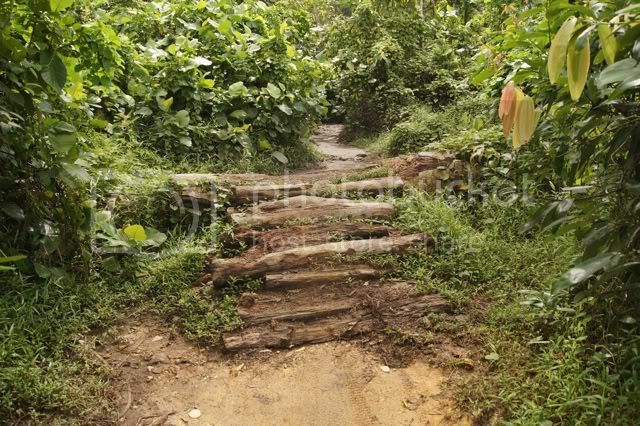 I wish they could construct a riding path up this section. 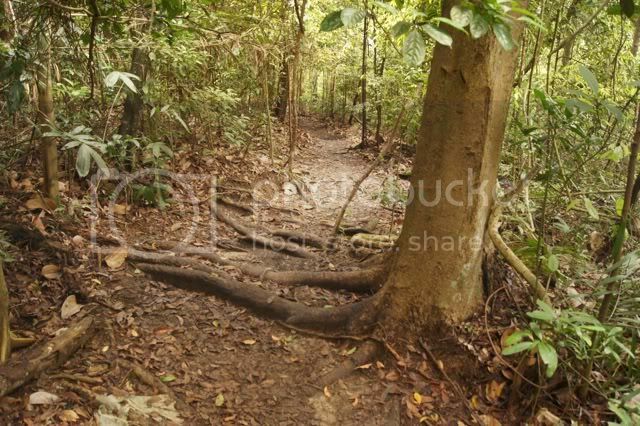 (Photo Above) The best and fastest way to go downhill is to bump hop over the root invested section. The challenge remains on climbing up! Any suggestion? (Above Photo) Before: Good luck to you. 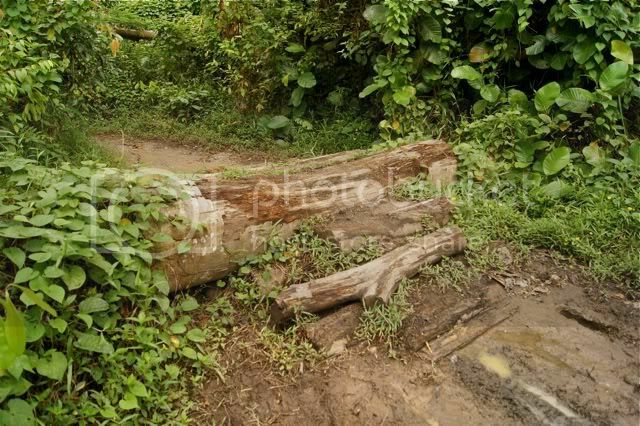 (Photo Above) I am always tempted to jump from this man-made logs' obstacles. Has anyone tried jumping this? 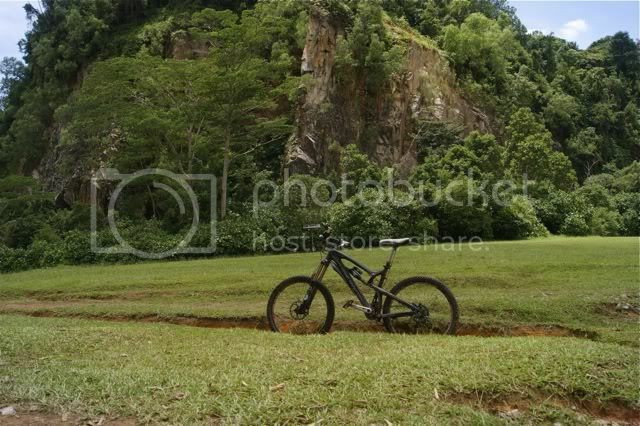 (Above Photo) This shot was taken up slope. 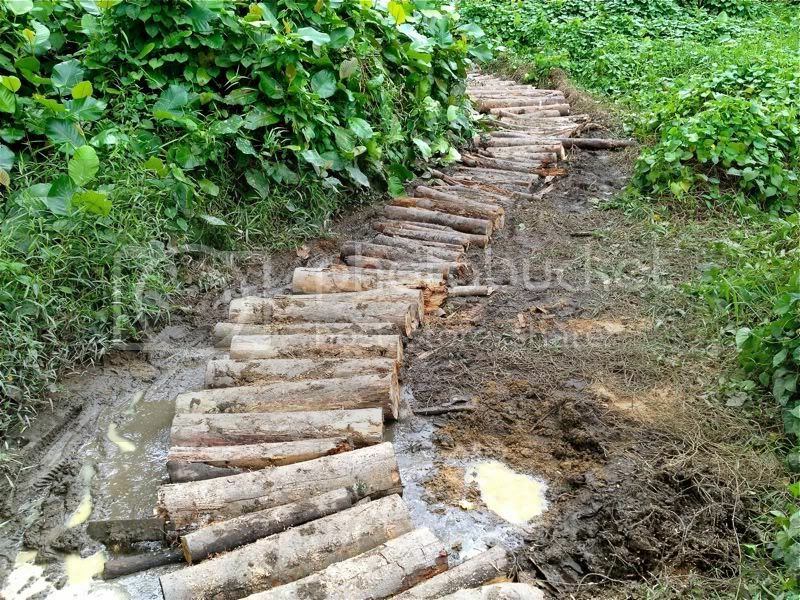 Well, most of the bikers will choose the easy path rather than bump over the log. The challenge lies on charging down the pool of water without slipping your wheels. 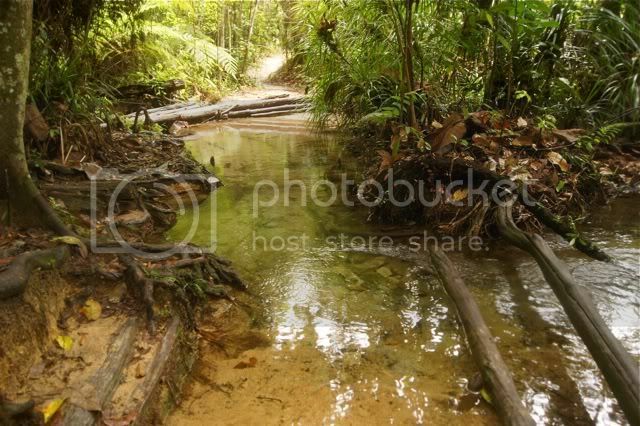 (Above Photo) The mountain bike trail in Bukit Timah Reserve does not have a good drainage system. 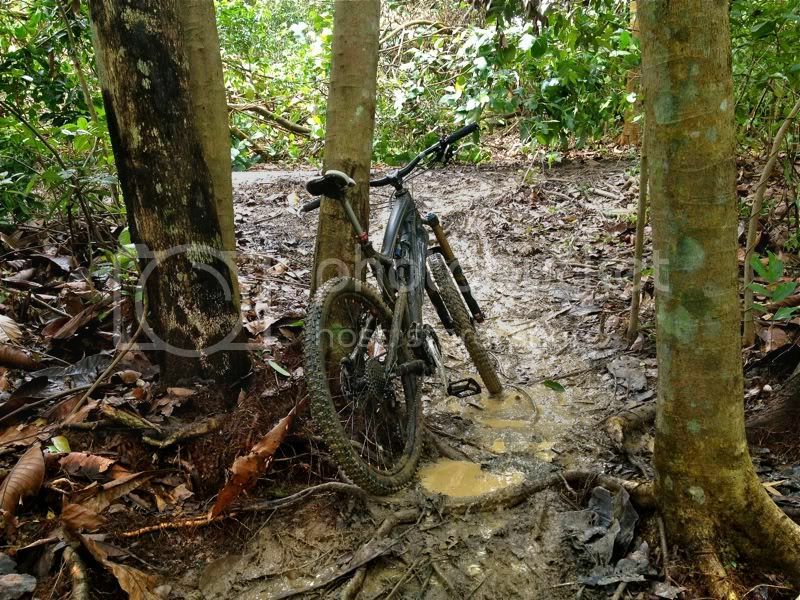 Three days of continuous rain had resulted some sections of the trail challenging to ride without slipping. 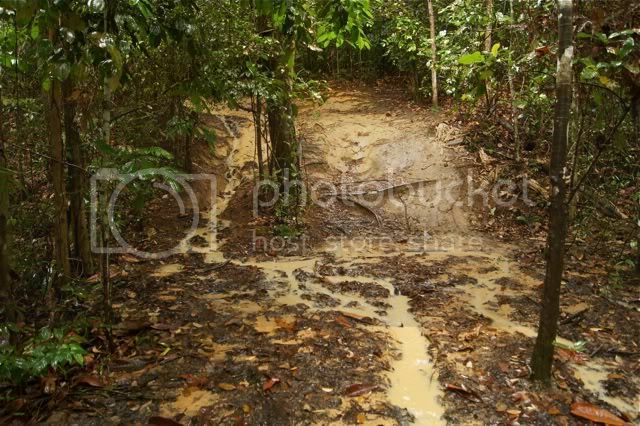 To add fuel to fire, the greasy roots would certainly excite some bikers who love to drift the bike while turning. The consolation is that you will not hurt if you fall, even without gloves and protective guards. 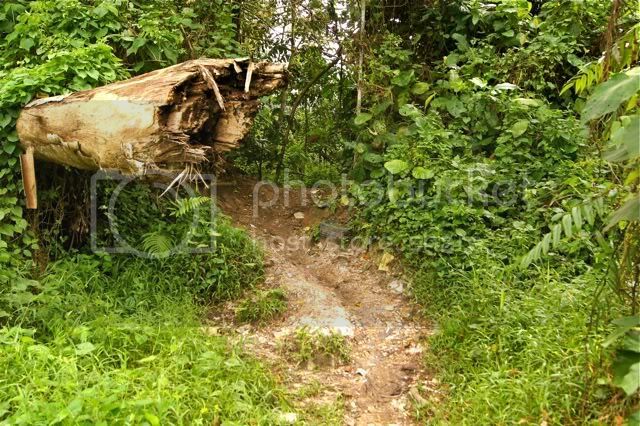 (Above Photo) Anyone can bunny hop over? 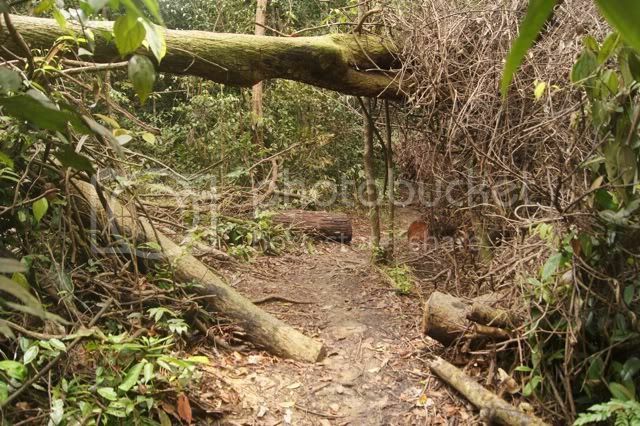 (Above Photo) This is the top of the Bukit Timah Hill. 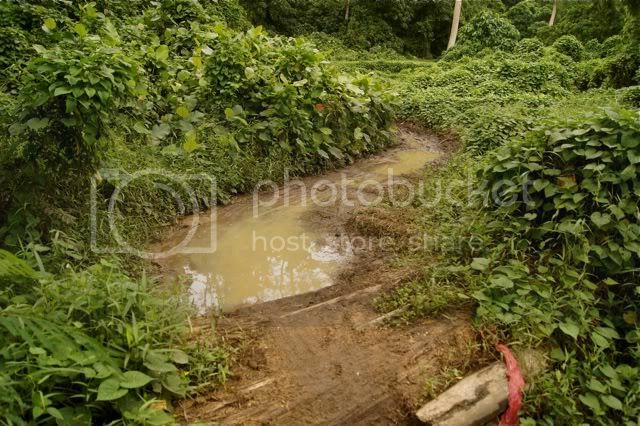 Most of the bikers will rest here to regain strength before charging downhill to the end point...unless you want to go another round. 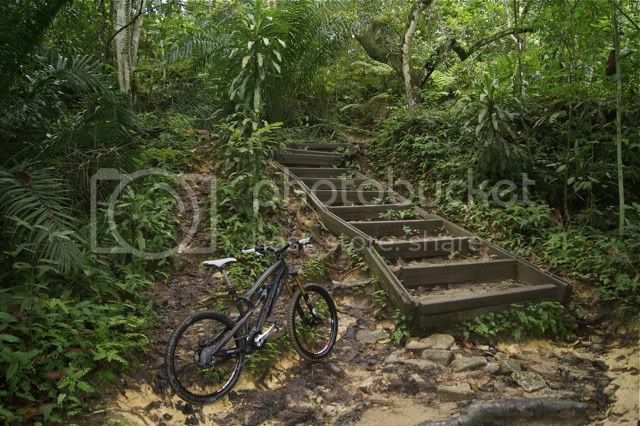 (Above Photo) This is the end of one of the mountain bike trails. Life is good when we are driven by passion. 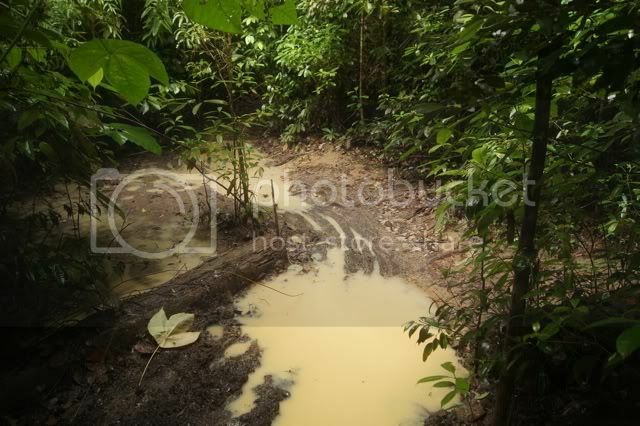 Copyright 2012 (www.mtbkakis.com). Picture Window theme. Powered by Blogger.